Conveniently situated close to the main A44 trunk road some 4 miles distance of the University town and seaside resort of Aberystwyth and the West Wales coastline. 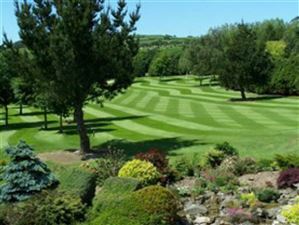 A freehold accommodation land extending to approximately 22.03 acres, currently arranged as a 9 hole golf course with landscaped trees and lakes. 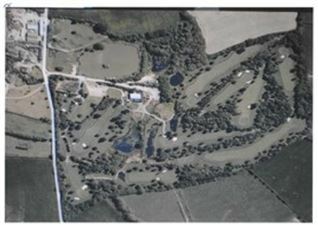 Other parts of the land were used for paint ball activities. 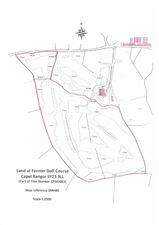 The current use as a golf course has now ceased and the vendors are offering the land for sale which is ideal for agricultural purposes or alternatively to extend on the leisure use currently provided i.e. caravan park activity centre.